Please pray for me. I need healing. I am 70 years old. I suffer from serious blood sugar problems. Please pray for God's healing power to deliver me from Diabetes. Pray God to heal and renew my pancreas. Please pray for my heart. Pray God to give me a "New Heart" Pray for normal Blood Pressure. Pray God to cleans arteries and veins of my heart. Pray for deliverance from depression and anxiety. 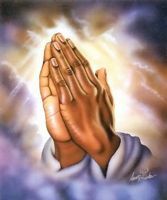 Pray that I can be a New Man in Christ Jesus!!! !